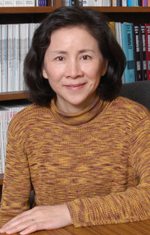 Xiao-Cheng Wu, MD, MPH, is an Associate Professor of Public Health and the Assistant Director of Louisiana Tumor Registry.She earned an MD in 1983 and an MPH in 1986, both from Xian Medical University in Xian, China. She worked as an Assistant Research Professor at the Chinese Academy of Preventive Medicine in Beijing, before joining the LSU Health Sciences Center faculty in 1991. Her research focuses on population-based cancer epidemiology and the use of cancer registry data for cancer surveillance studies. She has served as the leading editor for the annual monograph “Cancer Incidence in North America” since 2000 and has established herself as an active participant of numerous national committees, including the Data Use and Research Committee, the Research Proposal Review Subcommittee of the North American Association of Central Cancer Registries (NAACCR), the CDC National Program of Cancer Registries (NPCR) Scientific Advisory Group for Patterns of Care Studies, and the Annual Report to the Nation working group. She is a Co-Principal Investigator for both the National Cancer Institute-sponsored Louisiana Surveillance, Epidemiology, and End Results (SEER) program and the CDC’s NPCR program.